The College of Saint Rose prohibits students from exceeding 12 credits during any SUMMER semester and 15 credits for each of the SPRING or FALL semesters through The College of Saint Rose. It is the student's responsibility to keep track of the hours taken by semester. Course tuition for graduate classes through TEI is $622. Scroll down to find registration and transcript information. The College of Saint Rose requires all students to complete a FERPA form (even if you are not authorizing anyone to view your records). This form will allow you to set up a password which will be required for verification whenever you are communicating with The College of Saint Rose. A registration form is required for each class you take. Fill the form out completely aside from the CRN and Section. This form should be submitted to TEI. Each course has a prefix and number which must be included on the registration form. This form can be printed and mailed. There is no cost for requesting transcripts via this method. This link directs to The College of Saint Rose's online transcript service. There is a small fee associated with requesting transcripts via this method. The College of Saint Rose, sponsored by the Sisters of Saint Joseph of Carondelet, Albany Province, is chartered by the Board of Regents of New York State. All of its degrees and programs are registered and its professional programs fully approved by the Board of Regents through the New York State Education Department. The College is also approved by the Board of Higher Education to the Office of the Secretary of State to offer the Educational Leadership & Administration Master of Science in Education; the School Building Leader Advanced Certificate; and the School District Leader Advanced Certificate, in the Commonwealth of Massachusetts. The College of Saint Rose is accredited by the Middle States Commission on Higher Education, 3624 Market Street, Philadelphia, PA 19104. (267-284-5000) The Middle States Commission on Higher Education is an institutional accrediting agency recognized by the U.S. Secretary of Education and the Council for Higher Education Accreditation. 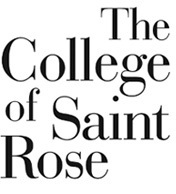 Learn more about The College of Saint Rose at their website.